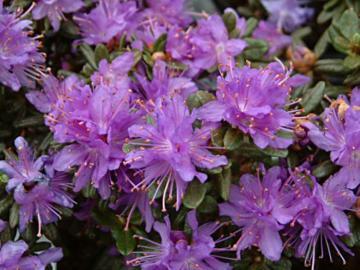 Compact, dwarf evergreen shrub with small, scaly, dark greyish green leaves. Covered in spring by small clusters of violet-purple flowers. Good for rock gardens and similar positions.